So, the holidays are over. Are your pants a little…tight? Why can’t eating bread and cookies and rice cake soup be slimming? Alas. I’m going into damage-control mode post-holidays, which means no carbs, no sugar, lots of protein and lots of veggies. 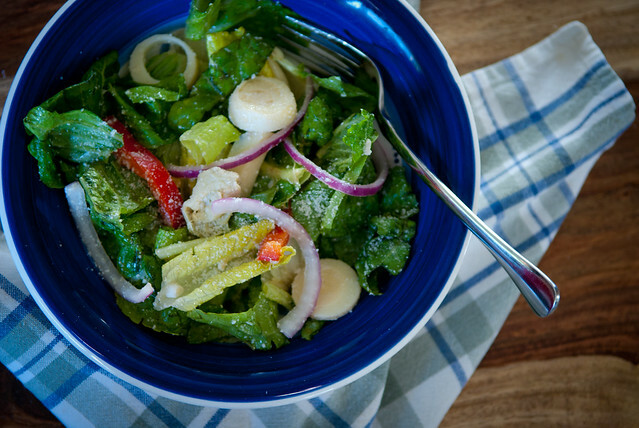 Fortunately, I have a salad recipe that is awesomely delicious and perfectly slimming. Sometimes good things do happen. In my family, there is a particular dish that traditionally makes its appearance at holiday dinners. In fact, it’s such a huge favorite that it often makes its way into many ordinary meals throughout the year as well.